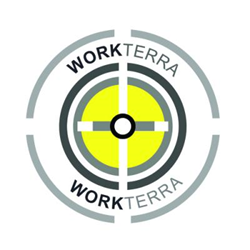 WORKTERRA, the easy-to-use, quickly implemented cloud-based benefits administration and talent management system for companies of any size, appoints Jared Smith as Senior Vice President of Sales. Jared will be responsible for leading all sales efforts and the development and execution of broader strategic initiatives driving corporate growth. "As we continue to grow our senior leadership staff and position ourselves for continued growth, we are excited to have Jared fill the vital role of leading the sales team," says Dave Rhodes, CEO of WORKTERRA. "Jared's knowledge of the industry, coupled with his vast experience leading and developing national sales teams will allow him to make an immediate contribution to our organization." Jared brings with him more than 20 years of sales and operational leadership experience in the benefits and HR Technology industry. He has held various executive positions in many leading Human Capital Management organizations including Morneau Shepell, Xerox, Mercer and Aon Hewitt. Throughout his career he has held a focus on the implementation of game changing strategies in order to maximize sales and profit.